The Barnes Takeover series is back for 2019! Join us for three fresh artistic interpretations of the collection before heading into the galleries. For our second Takeover, performance artist Morgan FitzPatrick Andrews is bringing players of Vermont's Bread and Puppet Theater to spin stories inspired by the Barnes. Before modern technology, people told stories through images and artworks, sometimes using elaborate painted scrolls illuminated by firelight. 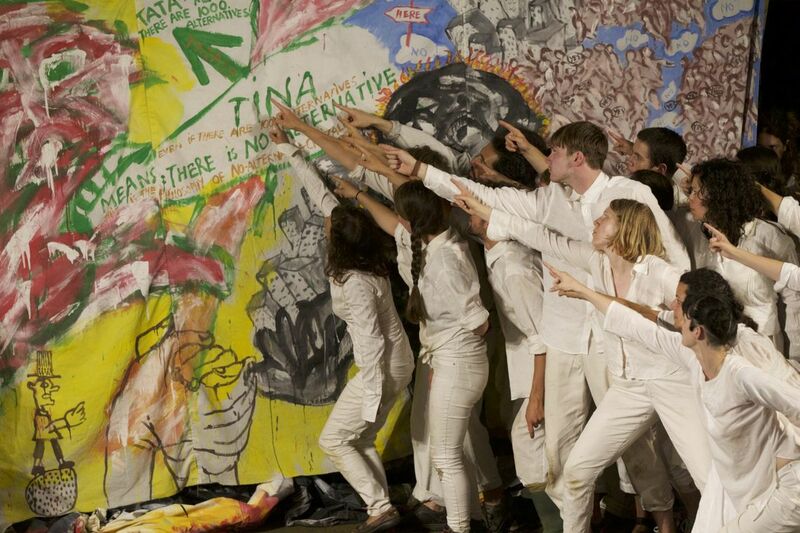 Inspired by this tradition, Andrews and a team of activist-artists from Vermont's Bread and Puppet Theater will perform a series of short scenes full of pictures, songs, and movements. Then, they will send you into the collection for a closer look at works that inspired them—carved panels from Madagascar, painted Greek pottery, Egyptian hieroglyphics, and more.